Born on this date in 1873, Alf Smith was an early hockey pioneer who began his career with the Ottawa Hockey Club of the Amateur Hockey Association of Canada (AHAC) in 1895 at the age of 22. He played three seasons for the club, recording a total of 24 goals in 24 games. During the 1898 season Smith was playing for the Ottawa Capitals in a lower division of the AHAC but was ruled ineligible to compete when it was discovered he had accepted a $100 bonus for playing for the Capitals lacrosse team. 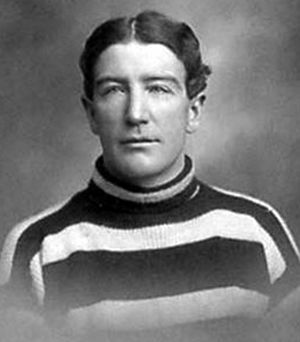 The ruling kept Smith off the ice for the next three years but not away from hockey, as he coached the Ottawa Hockey Club to the 1901 Canadian Amateur Hockey League championship. 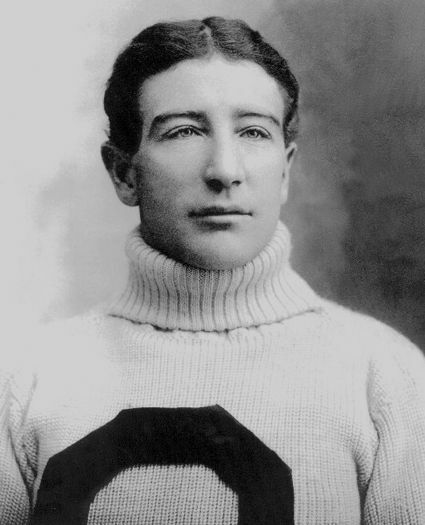 Smith returned to active play as a professional in 1902 as a member of the Pittsburgh Athletic Club of the Western Pennsylvania Hockey League in fine style, scoring 11 times in 14 games. He returned to his hometown of Ottawa in 1903 and coached the Ottawa Hockey Club, now nicknamed "The Silver Seven" to their first Stanley Cup against the Montreal Victorias with a dominant 9-1 margin in their two-game, total-goals series. Smith was then reinstated as an amateur for the 1904 season, but also retained his duties as the team's coach while playing right wing. 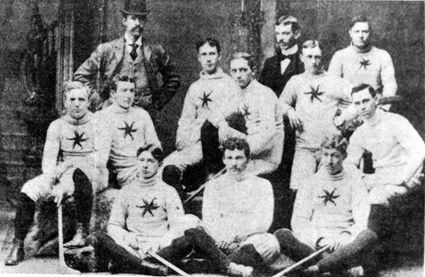 This was the beginning of a run of success for Smith and the legendary Silver Seven, as they retained the Stanley Cup in ten consecutive challenges from March of 1903 to March of 1906, defeating the Rat Portage Thistles (2 games to 1 just days after defeating the Victorias), the Winnipeg Rowing Club (2 games to 1 in January 1904), the Toronto Marlboros (2 games to none in February of 1904) and retained the cup after a challenge by the Montreal Wanderers was abandoned. In a complicated turn of events, the first game of the total goals series was tied at 5-5, but Montreal refused to play overtime! The Wanderers demanded that the game be declared a no-contest and proposed that the series start over as a best of three, but the trustees of the cup decreed that the series continue as scheduled and Montreal refused to travel to Ottawa to continue the series, allowing Ottawa to retain possession of the cup. With that bit of ugliness behind them, the Silver Seven defeated Brandon Wheat Cities 2 games to none nine days later in March of 1904. In one of the stories that made the Stanley Cup famous, the Dawson City Nuggets travelled 4,000 miles to Ottawa all the way from the Yukon, including by bicycle, train, steamship and even dogsled as well as having to walk several hundred miles on foot, only to be greeting by the greatest team of the era, who slaughtered the visitors 9-2 followed by a score of 23-2. 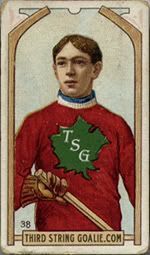 Smith and the Silver Seven retained the rights to the cup by winning the 1905 Federal Amateur Hockey League championship and then withstood a challenge from the Rat Portage Thistles 2 games to 1 in March of 1905. The next to fail to unseat Ottawa was Queen's University, who went down 2 games to none in February of 1906 followed a week later by the Smiths Falls Hockey Club, again 2 games to none. 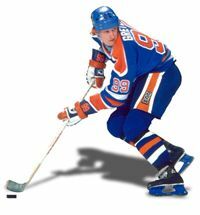 During the period of the Silver Seven's dominance, Smith scored 34 regular season goals in 22 games as well as 32 goals in 18 playoff contests. 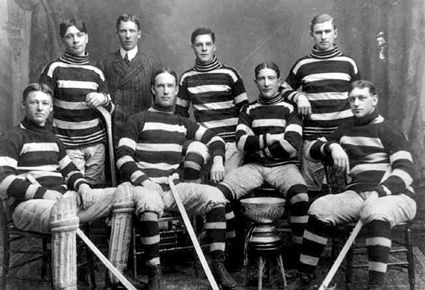 Ottawa lost their grip on the Stanley Cup following a second place finish in the Eastern Canada Hockey Amateur Hockey Association's 1907 season although Smith scored 17 times in 9 games. With his ECAHA season over, the Kenora Thistles attempted to add Smith to their roster for the Stanley Cup series against Brandon Wheat City, but he was excluded by the trustees. For their series against the Montreal Wanderers on March of 1907, Smith was again added to the Thistles roster and again ruled ineligible. However, the series began with Smith playing and the trustee. Mr. Foran, was informed that Montreal had dropped it's protest, which was actually not the case. The trustee then threatened to take the cup back to Ottawa, but the teams played the series anyway, with Montreal winning. 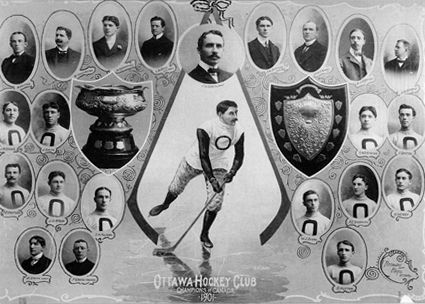 Back with Ottawa, now using their final name of the Senators, for the 1908 season, Smith had a strong campaign, scoring 12 goals in nine games. The next season was an eventful one for Smith as he returned to Pittsburgh to join the Duquesne hockey club of the WPHL only to be suspended after three games for rough play. He next joined the Pittsburgh Bankers, only to suffer the same treatment, again being suspended for rough play after just two games. Clearly not a fit for the WPHL, he returned to Ottawa and joined a Federal Hockey League team he founded also named the Senators. He also coached the Ottawa Cliffsides to the Allan Cup championship that same season. With his playing days over, Smith then concentrated on his coaching career, which included managing the Renfrew Millionaires, the Ottawa Hockey Club, now known as the Senators and was the first coach of the New York Americans of the NHL in 1926. 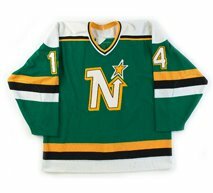 In all, Smith played in 107 games over 15 seasons, scoring 135 goals. He was inducted into the Hockey Hall of Fame in 1962. 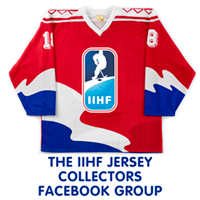 Today's featured jersey is an 1897 Ottawa Hockey Club Alf Smith jersey. 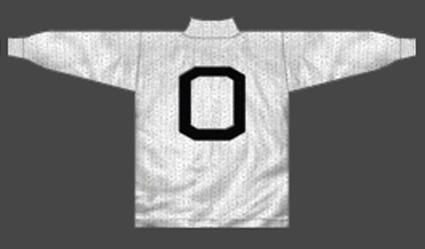 The Ottawa Hockey Club would evolve through a series of white sweaters while they were loosely known as the "Generals", which included this simple white sweater with a plain black "O" with beveled corners. 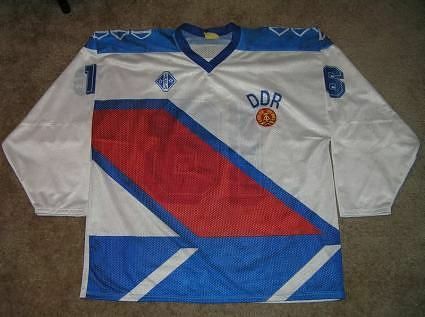 Their sweaters became slightly more elaborate with red sleeves and a rounded red "O" before returning to their iconic red, black and white barberpole jerseys around 1904 when they became known as "The Silver Seven". While this is the best photo we can find of Smith wearing this style, here is an illustration of the complete, simple sweater.